Enteroviruses live and reproduce in your intestinal tract. They sometimes spread to other parts of the body, including the nervous system. Humans are susceptible to more than 70 types of enteroviruses. They're extremely common—the only viruses that are more prevalent are those related to the "common cold." That means it's likely you've been exposed to some of them. However, that doesn't mean they've made you sick. Specific enteroviruses can cause various diseases, including poliomyelitis, rashes, mouth sores, hepatitis, aseptic meningitis, and inflammatory lung and heart disease. Most enterovirus infections, though, do not lead to disease. When they do make people sick, it's usually with a mild and cold-like illness or a flu-like illness that includes fever and muscle aches. Flu-like symptoms are also common in people with chronic fatigue syndrome, and the onset of this disease often comes right after the person has had a flu-like illness. That has made some researchers hypothesize that these viruses could play a role in chronic fatigue syndrome. 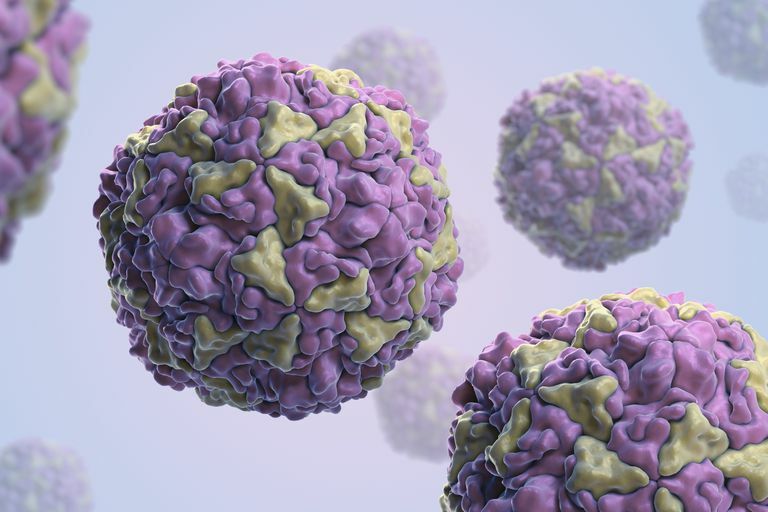 A 2008 study (Chia) on showed a high predominance of enteroviruses in the guts of people with this disease, which researchers said could explain some of the common symptoms. A 2010 follow-up (Chia) suggested that acute infections of enteroviruses may lead to a "stalemate" situation between the virus and the immune system and that it may result in chronic fatigue syndrome. Because the bodies of people with chronic fatigue syndrome show signs of an activated immune system, scientists have long believed that many cases are caused either by an active viral or bacterial infection or by an infection that permanently alters the immune system before leaving the body. Chia JK, Chia AY. Journal of clinical pathology. 2008 Jan;61(1):43-8. "Chronic fatigue syndrome is associated with chronic enterovirus infection of the stomach"
Chia J, et al. Journal of clinical pathology. 2010 Feb;63(2):165-8. Acute enterovirus infection followed by myalgic encephalomyelitis/chronic fatigue syndrome (ME/CFS) and viral persistence. Zhang L, et al. Journal of clinical pathology. 2010 Feb;63(2):156-64. Microbial infections in eight genomic subtypes of chronic fatigue syndrome/myalgic encephalomyelitis.